Supply Chain Risk and Reliability Management is a course designed for Semester II students in MBA first year to understand the concepts and risks involved in Supply Chain with experiential learning pedagogy. 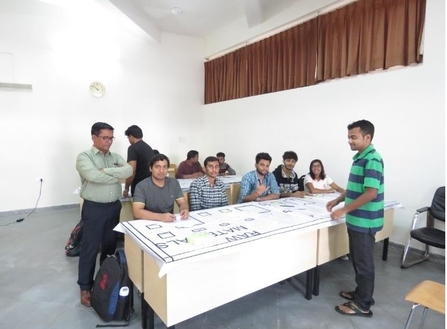 It is the simulation game to engage the students optimally with concepts and able to identify the risks involved by applying Supply Chain models for making effective Supply Chain performance. Seniors who have already experienced this simulation game and the same students voluntarily opted to facilitate the conceptual understanding with this simulation game and was successful in conducting the sessions very effectively and interactively. © 2018 SIBM Hyderabad. All rights reserved. Copyright © 2017 SIBM Hyderabad. All Rights Reserved.